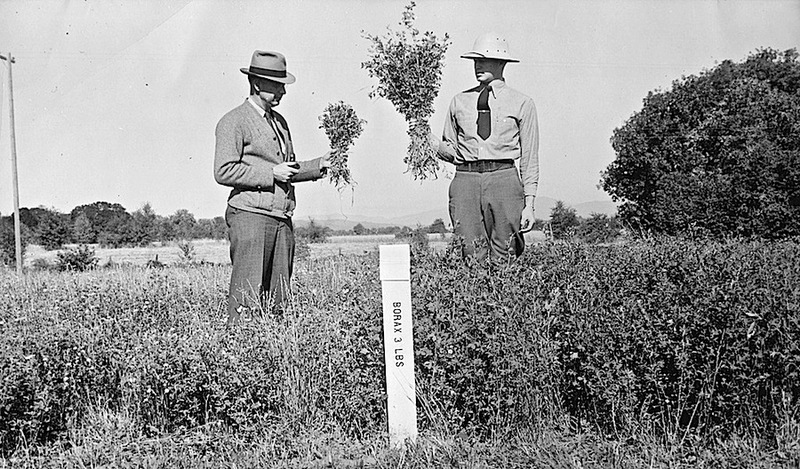 Alfalfa crops, probably in Oregon, ca. 1955, via OSU Special Collections & Archives Commons on flickr. Plants on the left show growth without Borax added to the soil and the plants on the right show what growth has occurred with borax. When soils have a borax deficiency, a “yellow top” condition develops, especially during the dry season. The plants are part of the Experiment Station soils program experiments. Next Post Point Pleasant, W.Va.